Gift cards are valid at all of our restaurants and hotels. Enjoy informally elegant fine dining and seasonal food using old-world European culinary sensibilities and flavors, adjacent to O.Henry Hotel in Greensboro, NC. Each reusable gift card comes in a carrier and an envelope that you can personalize for your lucky recipient. Cards will arrive within 7-10 business days after online orders are received. If you need cards sooner, please call or visit one of our restaurant locations. Thank you! 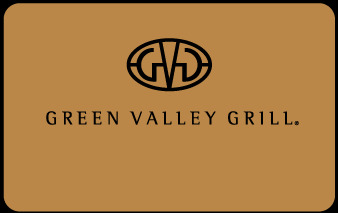 See full menus and photos of our featured items and favorites at greenvalleygrill.com. For more information or questions please call: 336-370-0966.